Looking for fail-safe Christmas gift ideas or advice about which present to buy for your loved ones this festive season? You've come to the right place, because we've spent the past few months previewing and carefully selecting the very best of this year's Christmas gift offerings. Love your daily dose of Real Homes? Then why not subscribe to our magazine to see our newest content first? Packed with fabulous readers' homes, trend features, project advice and easy updates, you'll wonder how you ever lived without it. So, if trawling the shops for the perfect Christmas presents for everyone on your list fills you with dread (we feel you), this ultimate round up of the top 50 Christmas gifts, chosen by the Realhomes.com, Real Homes magazine and Period Living magazine teams, will be indispensable, time- and (possibly) face-saving. Here you will find gifts for guys, girls, kids, teens, gardeners, tech lovers, book lovers, pet lovers, gamers, foodies, travel fans and more! And when you're done with this list, find the best of the rest in our Christmas gift guides. 1. Let's start with the BEST chocolates. like. ever. 'Because if you are going to fall back on chocolates as a gift, let them be the best. And does it really get any better than Charbonnel et Walker's Milk Sea Salt Billionaire's Shortbread Truffles? Seriously just think about – Chocolate. Sea salt. Caramel. Biscuit. Truffles. Yep, I'll take five.' - Hebe Hatton, writer at Realhomes.com. ‘The Mini Prep Pro is inexpensive, and would make preparing my favourite guacamole easier. It's great for anyone with a small kitchen (or budget, or both), or just for a foodie who likes an easy-to-use, simple but practical small appliance.’ - Anna Cottrell, writer at Realhomes.com. ‘If you’re going to get a cheese board, you’ve really got to go all out. This one from Anthropologie would look cute on my kitchen worktop, AND they have matching coasters and salad servers. I feel the obsession growing… Fab for foodies and anyone who loves their home to look stylish.’ - Annie Collyer, deals editor at Realhomes.com. ‘I don't know if it because I am old before my time, or just feeling the cold, but I would be very happy to open this Le Creuset Casserole Dish on Christmas Day and spend the rest of the holiday over-stocking the freezer with stews.’ - Lindsey Davis, associate editor at Realhomes.com. ‘When you’ve got a husband who is a dab hand at making pizza dough, you might as well buy him something so he can really make use of his skills. We’ll be swapping barbecues for pizza parties in 2019 with the addition of this pizza oven to our outside space.’ - Beth Murton, acting editor of Real Homes magazine. ‘Because I’ve always wanted one but always been too poor or mean to pay for the quality and good looks you get with the KitchenAid. I don’t cook that much so I’m not even sure I’d use it often but I REALLY WANT IT. Know a keen cook? You can't go wrong.’ - Lucy Searle, editor in chief of Realhomes.com. ‘I’ve got more than enough house plants of my own – some would say it’s getting a bit excessive – but I’ll be gifting one of these nifty terrarium kits to a creative friend this Christmas.’ - Ellen Finch, features editor of Real Homes magazine. ‘Probably the nicest-looking egg cup I’ve ever seen (and the only one I would bother buying, just because it’s so cool). Perfect as a stocking filler, kids will love it, too.’ - Anna Cottrell, writer at Realhomes.com. ‘I’m obsessed with anything Himalayan salt at the moment (not a sentence I ever thought I would write). Beyond putting it on all my food, I also have a lamp and candle holder and a body scrub. Seems only right, therefore, that I should put these shot glasses on my Christmas list. It's the perfect gift for anyone who enjoys a Christmas tipple.’ - Hebe Hatton, writer at Realhomes.com. ‘This is the perfect gift for one of my best friends – she’s really creative and always on the go so what could be better? I love that you actually send off the travel mug to be fired for a proper professional finish.’ - Amelia Smith, deputy style editor of Real Homes magazine. ‘Because one can never have too many, and this one from Thornback and Peel is especially nice. Adults will love it, but it will be popular with teens, too.’ - Anna Cottrell, writer at Realhomes.com. ‘There’s nothing more luxurious than Ugg slippers and these extra cosy ones are just what I need to keep cosy throughout the chilly months. So if anyone’s feeling generous… Buy it for the style-conscious family member (who's always got cold feet).’ - Amelia Smith, deputy style editor of Real Homes magazine. ‘I hit the big 40 next year, so this personalised passport cover will be perfect for the amazing luxury holiday I’m sure my husband is booking me as a birthday treat.’ - Emily Smith, senior art editor of Real Homes magazine. ‘I love Soak & Sleep – everything they make is excellent quality and value for money, and I love all things bed and bath. These cashmere socks look lovely to put on before bed (and after a bath!) on a cold evening.’ - Anna Cottrell, writer at Realhomes.com. ‘I may have Champagne tastes on a Prosecco budget, but these Art Deco-inspired Gatsby-esque lovelies could convince me I was drinking the real thing. Lovely if you're buying for an interiors (or bubbly) fan on a budget.’ - Alison Jones, assistant editor of Real Homes magazine. ‘I would really like this Maisons du Monde mirror on my living room wall; very chic, and not just another print. The perfect find for an interiors obsessive who's tricky to buy for – they're bound to love it.’ - Anna Cottrell, writer at Realhomes.com. ‘I have never been one to really care about what headphones I use, but since I have started getting through about a pair a week, it’s probably time to invest in ones that are a bit better quality. I love the retro vibes of this pair from Panasonic, plus they are mustard and I can’t resist anything mustard, except, come to think of it, mustard itself…’ Hebe Hatton, writer at Realhomes.com. ‘How pretty is this watering can? It is almost as if Haws know I have a thing for copper and easily forget to water my house plants. Buy it for a house plant lover – or just anyone who likes their home to be filled with smart but practical finds.’ - Lindsey Davis, associate editor at Realhomes.com. 'Top of my Christmas list this year is a garden shelf, like the lovely Como outdoor unit from Cox & Cox. I love gardening and always like to get out on the allotment, however back at home I only have a small square of patio, so making the most of height is key. Placed in a sunny corner, this shelf is the perfect way to display my pot plants.' - Pippa Blenkinsop, style editor at Period Living magazine. 'I’m a Cotswolds born nature-lover, and am trying my utmost to do my bit for the environment. If any of my family read this, I’d love the Eddington's Bee's Wrap Honeycomb Reusable Sandwich Wrap as a little stocking filler; they are a great way to curb that pesky plastic clingfilm! Buy it for your eco-conscious friends!' - Pippa Blenkinsop, style editor at Period Living magazine. ‘My more organised friends like to stay healthy and prepare their own lunches, (rather than grazing their way through Greggs, like me). They’ll appreciate some appetising inspiration from this cookbook, or at least a cute box to put it in. I should be more Bento.’ - Alison Jones, assistant editor of Real Homes magazine. ‘I got myself an insulated stainless-steel water bottle last Christmas and I love it so much everyone in my family is getting one this year. It reduces reliance on single use plastic, keeps your water cold for 24 hours and it looks darn pretty – what's not to like?’ - Lindsey Davis, associate editor at Realhomes.com. ‘I’ve been toying with the idea of trying yoga classes for years. I’ll probably only be able to manage corpse pose with any dignity, but at least I can look pretty stylish while attempting to sling a leg behind my ear on this mat. Namaste.’ - Alison Jones, assistant editor of Real Homes magazine. ‘My little cousins would love to open this bright pink flamingo on Christmas morning. I used to love Jellycat so I’m sure they will too.’ - Amelia Smith, deputy style editor of Real Homes magazine. ‘Because my eldest daughter says that Christmas ‘is about presents and pyjamas’, and these M&S ones would look so cute on my younger daughter. Buying for a child? You can't go wrong with cosy PJs.’ Lucy Searle, editor in chief at Realhomes.com. ‘I love the idea of gifting decorations to my family (or myself). These adorable little felty friends could sit on my tree, or scale the chimney breast, or go all hickory dickory dock and climb my grandfather clock (if I had one…). I just need to push all the questions about their safety out of my head – at least they have wrapped up warm.’ - Lindsey Davis, associate editor at Realhomes.com. ‘I have an ongoing love-affair with toucans, flamingos and other tropical birds, so these funky salt and pepper shakers are right up my street. It's the kind of gift I'd get my friends (especially those with a sense of humour), too.’ - Emily Shaw, writer at Realhomes.com. ‘Because I have never, in the history of (veggie) spag bol, ever made the right amount of pasta. Seriously, it’s either enough to feed a small village or I end up with a few strands swimming in a bowl of sauce. This is a super handy spaghetti measurer for under a tenner that someone will actually be sure to use.’ - Hebe Hatton, writer at Realhomes.com. ‘Using Voldemort's wand to master a cut crease? Sounds doable, Accio eyeshadow! (If you understood any of that, get these makeup brushes on your Christmas list too. If you didn't but have a daughter/friend/Harry Potter-loving relative who will, they'll appreciate them. )’ - Hebe Hatton, writer at Realhomes.com. ‘My friend gave me one of these diaries for Christmas last year and I absolutely love it. It’s so interesting to look back on the most significant part of every day and I can’t wait to see how it compares next year. Definitely a gift that keeps on giving.’ - Amelia Smith, deputy style editor of Real Homes magazine. ‘Because I’ve already twice replaced my teenager’s portable speaker after it’s been dropped in the bath/loo/sea/pool/down the stairs, and I think the durable design of this Ultimate Ears Wonderboom might just last until next Christmas. If you've got a clumsy teen, this is the buy for you.’ - Lucy Searle, editor in chief of Realhomes.com. ‘There’s something special about physical photographs, and since I missed out on instant film cameras the first time round I’m looking forward to making up for it with this retro-style model. Anyone in their teens to twenties will love it.’ - Ellen Finch, features editor of Real Homes magazine. ‘Because my other half brings 5,000 unexplained electrical wires, connectors and chargers with him whenever we go on holiday. Okay, so I get to watch Netflix whenever I want wherever I want but I also spend an out-of-proportion amount of time untangling wires from my hairbrush, bikini, jewellery, other wires. Drives me totally nuts so this cord organiser would be perfect for him/me – and anyone you know with the same habit.’ - Lucy Searle, editor in chief at Realhomes.com. ‘After just spending a week away with my little bundles of joy, one thing I’ll definitely be buying my youngest this Christmas is a portable charging power pack. It’s almost impossible to get Insta-worthy beach shots when your 10 year old is nagging you for your phone to watch YouTube videos because his battery is flat.’ - Emily Smith, senior art editor of Real Homes magazine. ‘I’m determined that my next trip won’t result in a backpack that appears to have exploded, which is why I’m drawn to these gorgeous laundry bags from Oliver Bonas. They’re pretty and practical, what’s not to love? Buy it for the traveller (or houseproud person) in your life.’ - Emily Shaw, writer at Realhomes.com. ‘A firm favourite amongst the Real Homes team – seriously, at least half of us has this bag – the Fjällräven Kanken Classic Backpack is the perfect travel companion thanks to its durability, ability to effectively repel water and stylish, Scandi design. I’ll be gifting this one to fellow travel lovers this Christmas… Teens will want one, too.’ - Emily Shaw, writer at Realhomes.com. ‘My current letter board is well-overdue a one-way trip to the bin, and I’ve been eyeing this Oliver Bonas one up for a while. The perfect way to display your favourite quote. Instagram addicts will want it, kids will love it.’ - Annie Collyer, deals editor at Realhomes.com. ‘Monthly gin nights with the girls will be a whole lot classier (who am I kidding?) once we have these lovely glasses to mix up our favourite tipple. Plus the different coloured stems make it easier to keep track of your own glass.’ - Beth Murton, acting editor of Real Homes magazine. ‘My sister’s just finished decorating her master bedroom in her new house, so these delicate frames would be the perfect gift. I might fill them with pictures of myself so she never forgets who bought them for her…’ - Emily Smith, senior art editor of Real Homes magazine. ‘I’m going starry-eyed for this rather stunning velvet cushion, which will look perfect in my newly-decorated bedroom. Buy it for the home-lover in your life.’ - Ellen Finch, features editor of Real Homes magazine. ‘You can’t beat a cosy night in during the cold winter months and this snuggly blanket from Anthropologie was designed with such evenings in mind. Pass the popcorn.’ - Emily Shaw, writer at Realhomes.com. ‘My husband can’t function in the morning without his two cups of coffee – and I’m sure he’ll enjoy it a lot more if it comes out of this stylish kettle (especially compared to the old, limescale-covered one we have at the moment).’ - Emily Smith, senior art editor of Real Homes magazine. ‘I currently own an Instax camera, but I keep finding that the majority of photos I take are either extremely overexposed or I have both my eyes shut/look like I’ve been dragged through a bush. In our living room, we’ve got a photo wall which is still growing and this instant photo printer would make it so much prettier. It will be popular with anyone who loves a photo wall, and is perfect for teens and students.’ - Annie Collyer, deals editor at Realhomes.com. To me, the smell of Christmas is a turkey roasting. However, that’s probably not a scent you want lingering after the last cracker’s been pulled. The cinnamon, clove and orange of this White Company candle is gorgeously evocative. Perfect for Secret Santa. - Alison Jones, assistant editor of Real Homes magazine. ‘While I’m still a fan of the good old paperback book (when I stay awake long enough to read one that is), my dad has moved with the times and loves his Kindle. This stylish felt sleeve is the perfect accessory, so at least that’s one thing crossed off my to-buy list.’ - Beth Murton, acting editor of Real Homes magazine. ‘I love poetry. I rarely, however, read poetry. I’m intending to change this by buying myself this poetry subscription for Christmas. 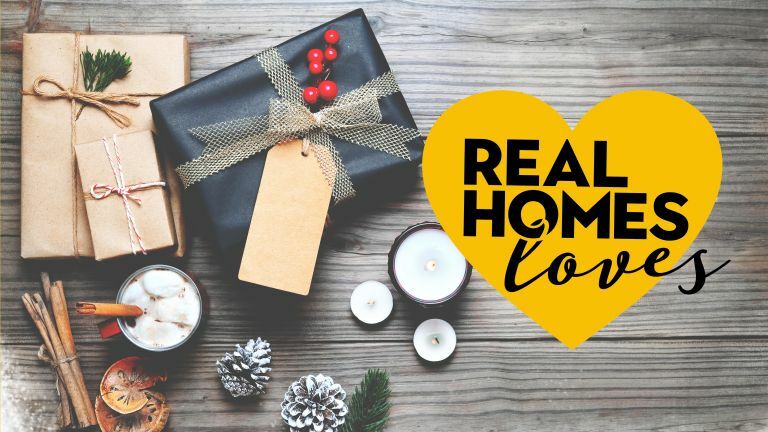 It’s a gift that keeps on giving and it’ll push me to make time every month to sit down with a cup of tea and just read.’ - Ellen Finch, features editor of Real Homes magazine. ‘The Kindle Oasis is the perfect e-book reading experience. Although it's not like sitting down and thumbing through the paper pages of a physical book, you can get this one wet at the beach without worrying about it thanks to its waterproof design, plus you can transport your entire library on holiday without having to worry about going over your luggage limit.’ - James Peckham, wearables editor, TechRadar (and Realhomes.com writer). ‘You've probably heard of Nintendo's latest games console as it has brought home console-like quality gaming to a portable system for the first time ever. Any gamers in your family – or you, if that's your thing – would love the Nintendo Switch to be able to play Zelda on their commute or Mario Kart on their next long plane journey. ’ - James Peckham, wearables editor, TechRadar (and Realhomes.com writer). 'Ok, so I have a perfectly practical radio, but as a nostalgic soul, and as a stylist drawn to the prettier things in life, it’s the Roberts radio with its retro good looks that I’ve coveted for years. Timeless, and a brilliant prop, I’d just love to get my hands on a classic duck egg blue version.' - Pippa Blenkinsop, style editor at Period Living magazine. 'What dad wouldn't love a personalised framed vinyl of their favourite tune? If I was to get this for my dad it have to would have be Rock DJ by Robbie Williams, much to the horror of the rest of my family...' - Emily Shaw, writer at Realhomes.com. Looking for even more Christmas gift and decorating inspiration?